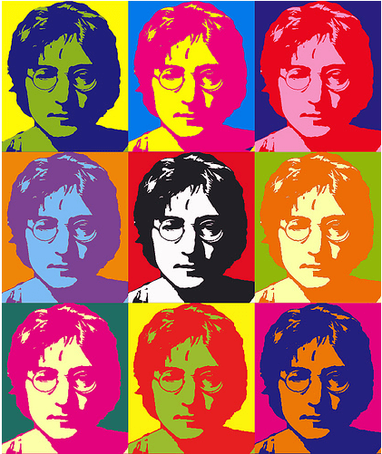 Andy Warhol was an American artist who was the leader of the Pop Art movement in the 1960’s. 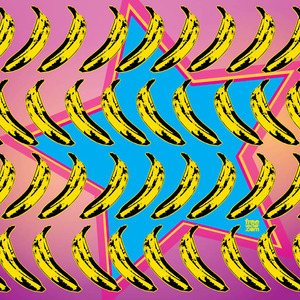 Pop art is inspired by everyday objects that are part of popular culture. Warhol was first a successful commercial artist. As he became interested in producing art, he decided to paint things he loved. Warhol had been a sickly child, and his mother had fed him Campbell’s soup. Since he ate Campbell’s soup for lunch for much of his life, Warhol painted cans of Campbell’s soup for his first major art exhibition. People said the soup cans were just advertising and not real art. 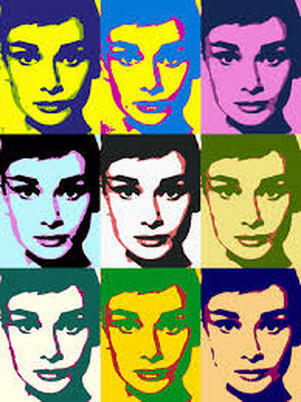 Warhol said he wanted to show that beauty could be found in everyday things if we just stopped to think about them. 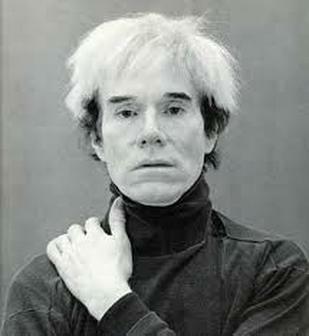 This is a quote from Andy Warhol:​​ “Don’t think about making art, just get it done. Let everyone else decide if it’s good or bad, whether they love it or hate it. While they are deciding , make even more art." 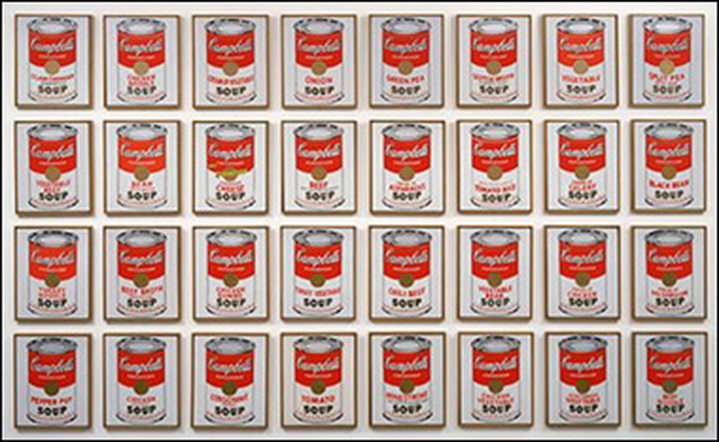 Our artwork of the week is Warhol’s Campbell’s Soup Cans. 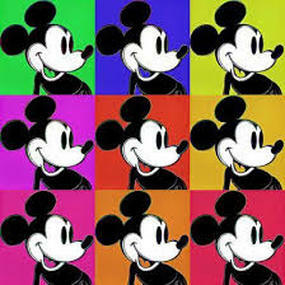 Pop art was made up everyday images that anyone would be familiar with. 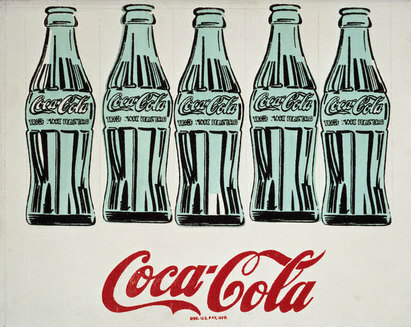 Andy Warhol created art based on advertisements and products that were part of American life. 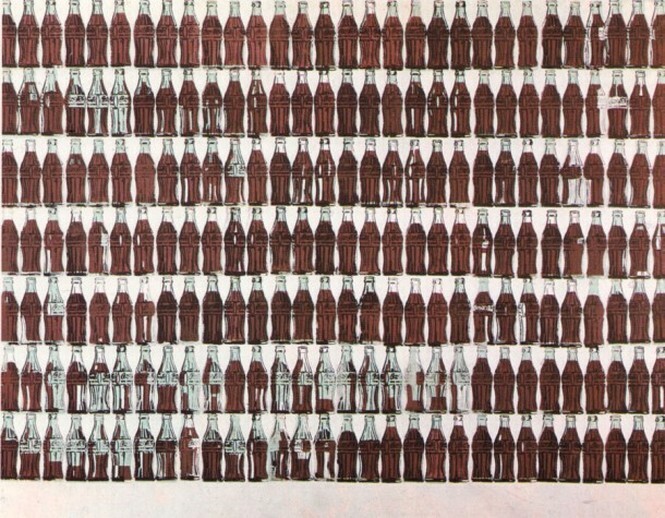 He used Coca-Cola bottles for some of his art. 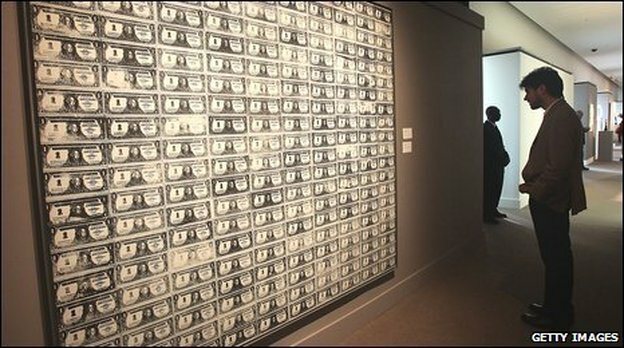 Warhol believed one thing great about America was that whether a person was rich or poor, they could buy and enjoy the same things, such as Coca-Cola. A person could drink a Coke and know that any Cokes drank by the President or a famous actress, such as Elizabeth Taylor, tasted the same and was not better. 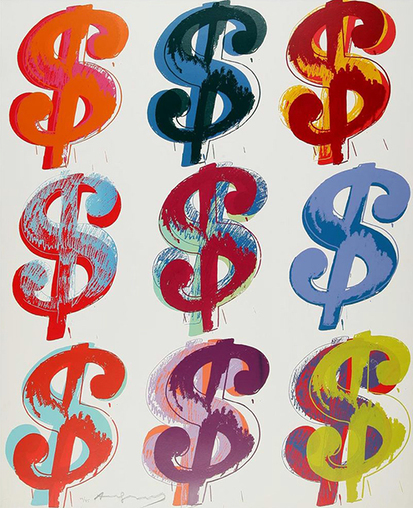 Warhol thought that business itself could be an art. 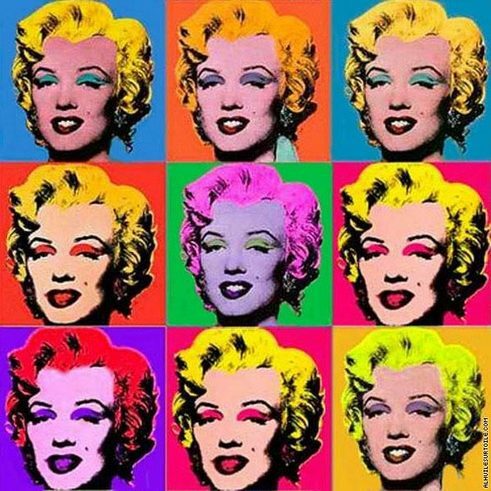 Andy Warhol loved celebrities, so he often painted them in his Pop Art style. These portraits were usually done in bright colors. He created many paintings of actress, Marilyn Monroe. 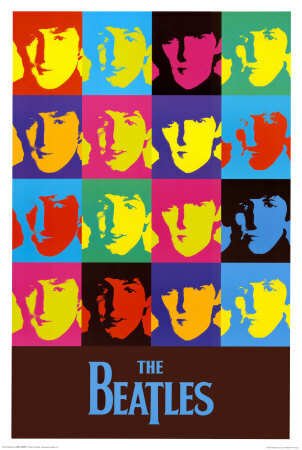 He also painted John Lennon, Audrey Hepburn, and Queen Elizabeth, among others. 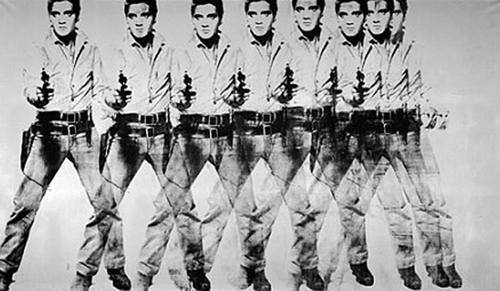 Warhol’s portrait “Eight Elvises” once sold for $100 million. 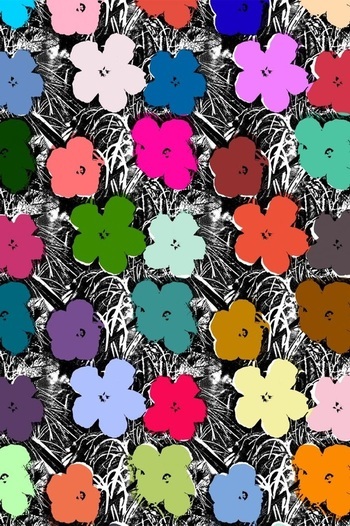 Andy Warhol was famous for his mass produced brightly colored images. These were done with a silk screen printing process. He would repeat an image and change the colors. Pattern is one of the principles of design. 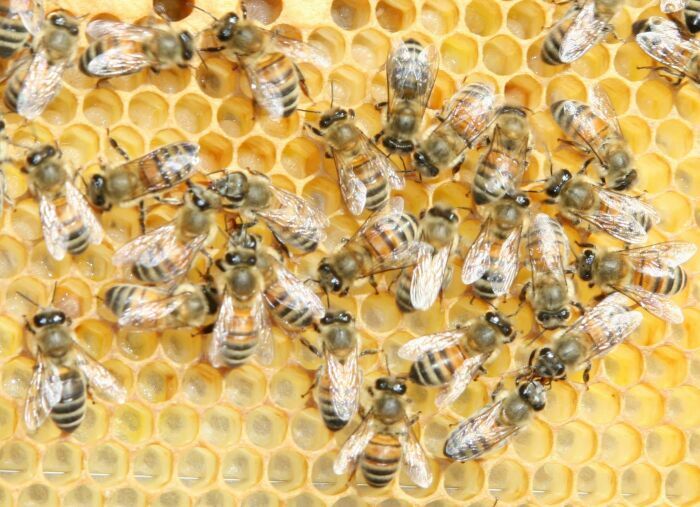 A pattern occurs when shapes or elements or arranged in a repeating combination. Pattern is the repetition of an element or elements in a work of art. 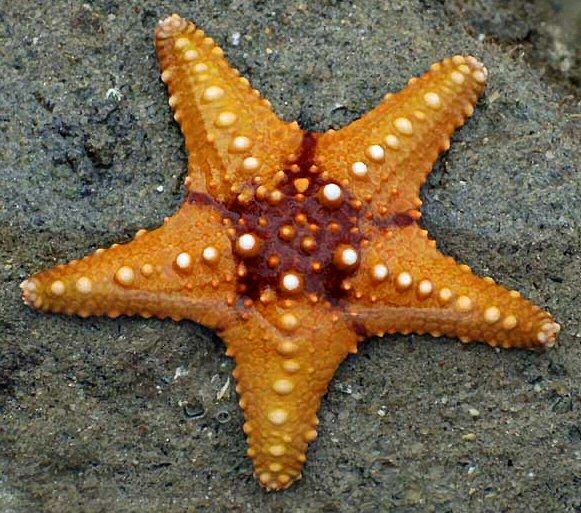 Pattern can also be seen in nature. 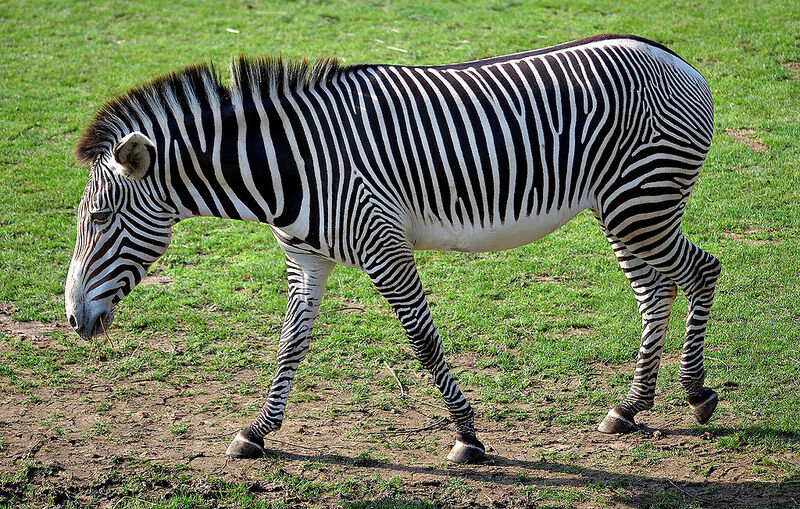 Pattern is used by cultures throughout the world. 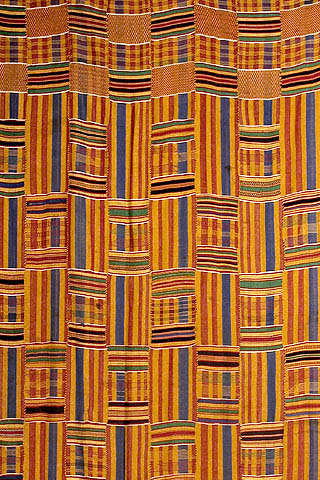 Kente cloth is woven and used by many West African countries. 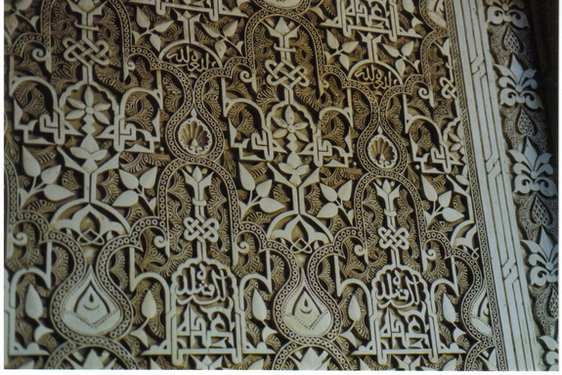 Islamic art relies heavily on pattern since images are not used. 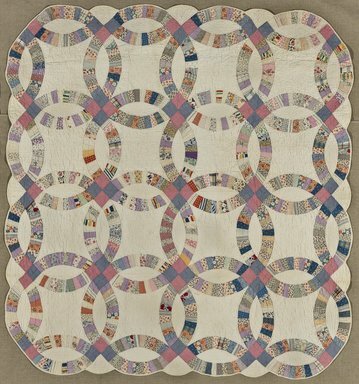 American quilts create a design through pattern. 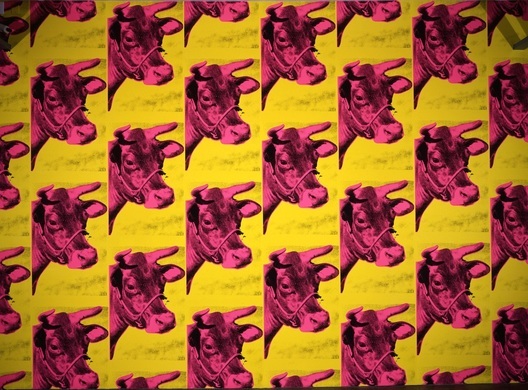 Pattern is a principle of design that Andy Warhol used in much of his art.